Are you looking for more ways to attract top talent and recruit great hires? Have you given blogging on your company website a try? If you have, I’m willing to bet you’ve been disappointed. Getting results from blogging has gotten more and more difficult as more people have flooded the web with content. If you haven’t tried blogging yet, I’d recommend coming up with a specific plan for your approach, or you too will end up with a bunch of words and no results. I’m going to give you specific tips here on how you can use your company blog to increase applicants and hire better employees. Have you ever heard that you’re supposed to drink 8 cups of water per day, or that humans only use 10 percent of their brains? If you don’t know by now, I’m going to burst your bubble by telling you that these are myths, the result of a single study or person who proclaimed them as true. The same thing has happened with blogging. Somewhere along the way, the bad advice that you should write a lot of short blogs on a regular basis became the accepted wisdom, and everyone did that. Turns out Google doesn’t like it when you flood the internet with mediocre content. And you won’t feel good about it either if you spend months producing articles and see nothing for it. This is when more is more. Publish much less often, but be sure you’re publishing the very best, in-depth blog posts on the subjects you’re writing about. One: Search Google for your topic and see what else has been written on it. For example, below I talk about an article comparing software bookkeepers use. Three: Then I’d read through the results and see what I can do to improve on them. Four: If I don’t have the time to produce something that does better than what’s already been written, I don’t do it. Before we go any further though, let’s step back and make sure what we’re writing is what people want to read. One of the first things we all need to learn as writers is that it’s not about us. It’s about our audience. If it turns out that your audience is a bunch of clones of yourself, then maybe it is about you. But too many writers assume they know what their audience wants to hear, without doing any research. I’ve been guilty of this myself. 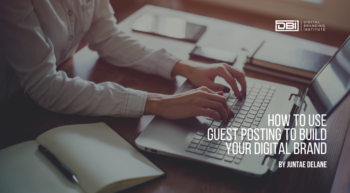 When you do the research and know exactly what your potential employees want to read about and share online, you’ll be able to produce blogs that they’ll love to read and share. Blogs that will attract applicants to your site. One great place to start your research is online forums. In forums, you can read exactly what your target audience is saying and thinking, in their own words. So, let’s say you’re trying to hire a bookkeeper, and want to find forums where bookkeepers go to talk shop. When I do this search, I see a couple good options for bookkeepers. But this technique works better for some jobs than others. Step 2: If you don’t see a good forum for the position you’re hiring for, you may need to go broader. For instance, if I found nothing bookkeeping specific, I might search for accounting forums. Step 3: Examine forums for questions to come up with topics. Ok, let’s say you’ve found some active forums. What can you learn from this and how can you use it? For one, you can look for common questions that people in the position you’re hiring for have about the job. If you find questions that are getting a lot of comments, and it’s clear from the answers that people really care about the issue, you’ve found a great topic for your blog post. On bookkeeper forums there are a lot of people talking about which software is the best for different tasks. So a potential idea is a blog that does in-depth comparisons of bookkeeping software. Another way to find great ideas is searching a forum for phrases like, “I hate,” “frustrating,” or other emotional words. Here’s an example of how you can do this using Google, with the results. This kind of emotionally charged content is pure gold. We know that our audience cares about the topics, and they care enough to use emotionally charged language. If you want to recruit great hires, you have to understand their pain points and speak to their needs. Clicking on the 3rd result for bookkeepers, I found a lot of the target audience mentioned that they hate it when clients think they can write everything off as a business expense. Step 5: Write the article your audience would be interested in reading. Continuing with our previous example, based on the search results, you could write a blog titled, “What to do about clients that think everything is a business expense,” with some practical advice. You can bet your audience will be interested in reading this. Beyond blogging, this is also great research for writing job descriptions for your open positions. If you know what bookkeepers hate, for example, and you can offer them a remedy to that, you’ll want to plug that info into your bookkeeper job description. You can have a DJ, a swimming pool, a bouncy castle and the best pizza in town, but if you don’t send out invitations, no one’s coming to the party. It’s the same way with blogging. You can write up an amazing post, but if you don’t tell anyone about it, no one will ever show up to read it. Sharing your blogs on your own social media accounts is a start, but I’m guessing that if you’re here, you haven’t gotten much traction from that. What you really need are influencers on the topic you’re writing about to share your work and recruit great hires. So how do you get that done? Let’s start by finding those people. Step 1: Start by going to Buzzsumo.com. If you don’t have an account, go ahead and sign up for the free trial. Step 2: Once you’re in, click “Influencers” at the top of the page, then search the position you’re hiring for. Staying with the bookkeeping theme, I found several social media accounts that write about bookkeeping. Almost all of them were also connected to websites. Step 3: Check out all the accounts you find, follow all the ones that are relevant, and start interacting with them. Let them know you’re there. Do this in the weeks leading up to you writing your blog post. Then, when it’s ready to go, find the email address of the person in charge of the account. Once you’ve got the influencer email, get in contact, but be cool about it. Mention authentic reasons why you’ve enjoyed some of their past content. Ask them if they’d be interested in reading the latest article you’ve written, and tell them why you think they’d like it. Don’t just send an article and ask them to share it. Be polite and give them the option of having you send it. At first, you’ll need to send a lot of emails like this and interact with a lot of people to get a couple shares and maybe a couple links if you’re lucky. But over time, if you write solid content, you’ll build a community of people who know your work and look forward to sharing it. Don’t be surprised when you start getting outreach emails yourself! Ok, that should give you the tools and instruction you need to research, write and promote great content that will interest the people you want to hire and attract great employees to your company through your blog. Try this method to recruit great hires, and share your results in comments!